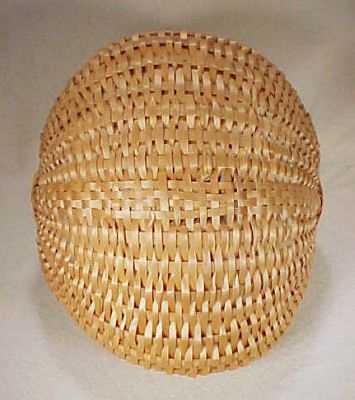 Large handwoven buttocks egg basket crafted in maple splint with 18 hand-carved and tapered maple wood staves, rough hewn maple wood handle and tight satin maple basketweaving with a decorative woven border along the basket rims and along the center stave. 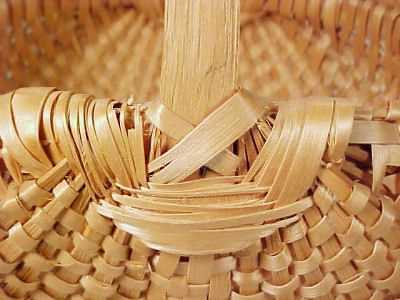 Hand-woven ribbed baskets, are also known as the melon basket, buttocks basket, fanny basket, peanut basket, gizzard basket, bow basket, egg basket and many other regional names. 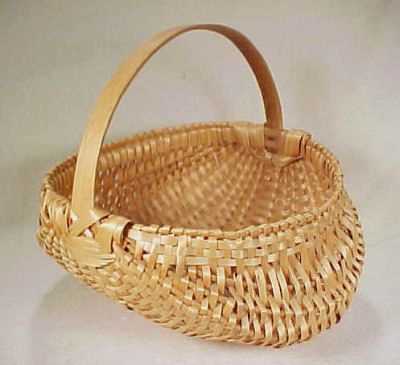 This lovely basket has achieved a beautiful and desirable golden tan patina, and is in good condition. 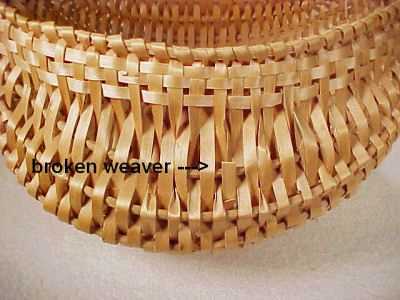 A few extremely minor damage is noted, none which affects the strength or integrity of the basket itself. 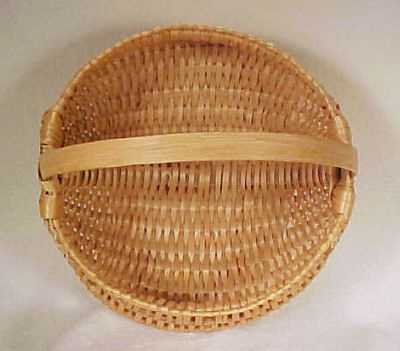 I personally hand-wove and crafted this fine buttocks egg basket, and have signed and dated the inside basket handle. My extensive basketry collection, colleted over more than 20 years, must be thinned down. This lovely buttocks egg basket in maple measures 12" at its widest, stands 6" tall at the rims and 10.5" high at the top of the stationary handle. 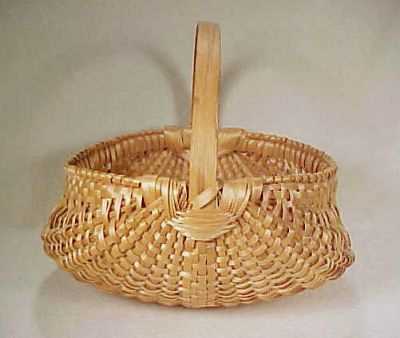 A beautiful handwoven buttocks egg basket to add to your basketry collection.